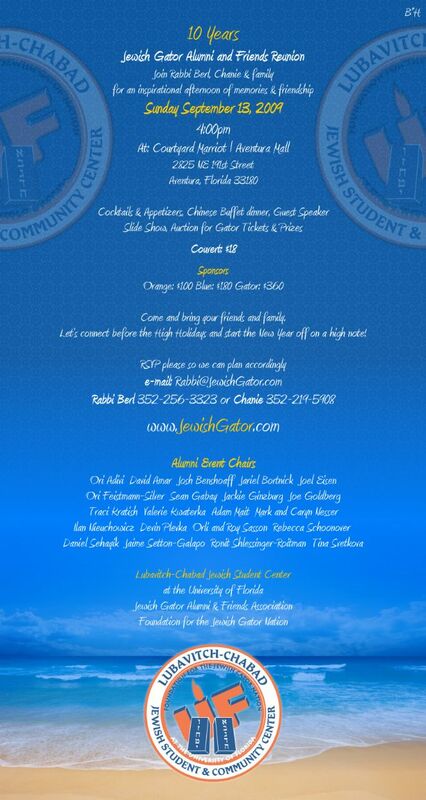 Jewish Gator Alumni & Friends' Reunion! Come and bring your friends and family. Let’s connect before the High Holidays and start the New Year off on a high note!